Now where has this week gone! Last week seemed to fly by, but this week... wow. The 4 day Easter break led straight into the school holidays and it's Thursday again already. Almost 2 weeks ago now I went to Canberra for the day to visit Handmade Market, which I'd heard great things about. It was fantastic - lots of lovely things for sale and heaps of people enjoying a beautiful autumnal day out. My camera wasn't really playing nice that day (or perhaps it's just that I've never looked at the manual for my lovely DSLR. Note to self: read the manual!! ), so a lot of my photos aren't worth showing. I met lots of lovely women selling their fabulous wares and caught up with some friends who'd driven down for the day to have a stall. Lovely gals Brooke from Trove, with her stunning jewellery, and Mel from Paperklip, with paper goodies, were there. 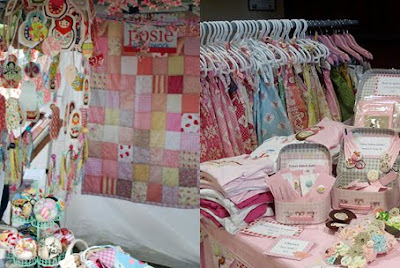 I finally met the effervescent Jennie of Posie Patchwork who had a huge stall with all sorts of handmade goodies. Corrie aka Retro Mummy makes the sweetest little girls' dresses and sells awesome fabrics. 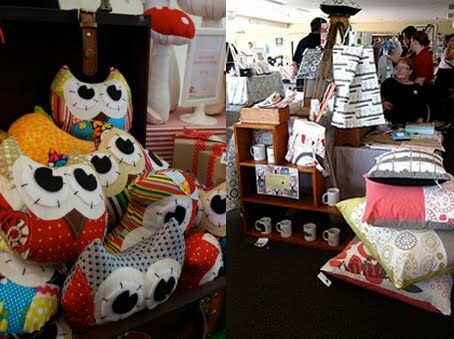 Sarah from Gifts Created was there with her fab softies. Sarah always has the most fantastic display including a lifesized felt tree! And I discovered the lovely textiles of Third Bird. Love this sweet plate by Ensparkle. 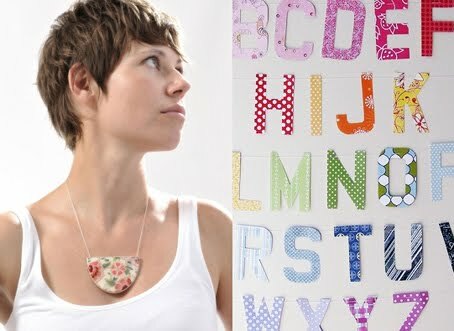 I was very tempted by these big bright necklaces from Six in a Row (no website/link). There were many more lovely things I could easily have spent my money on - you can see a list of designers on the Handmade website. 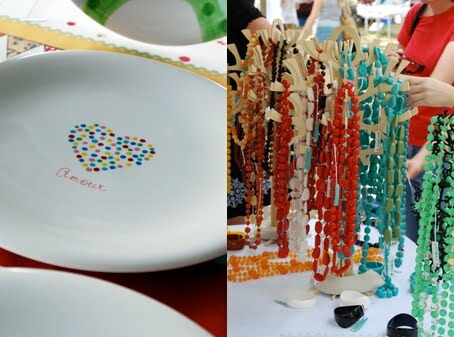 The next Handmade Market is on 5th June. Fingers crossed that my application is accepted, and I'll be there with a stall of my own. If not, I might just make a day of it again and go shopping.